Roofing felt is a term describing a roll of base material which is impregnated and coated with Bitumen or modified Bitumen. High Performance Felt has a polyester base material that doesn't split as was possible with older products. 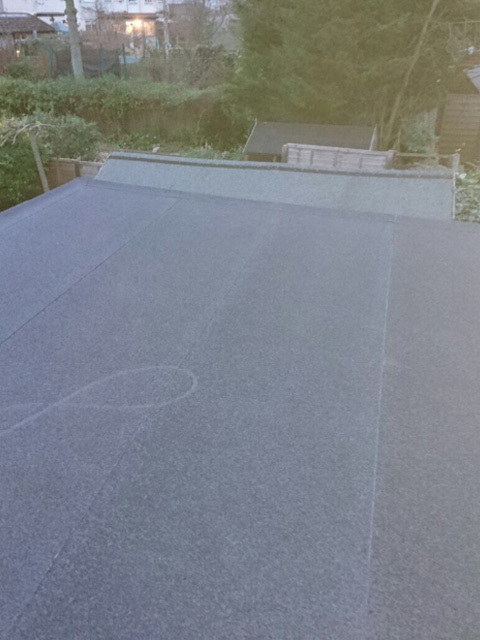 Today, High performance felt is the undoubted material of choice for long lasting trouble free flat roofing. 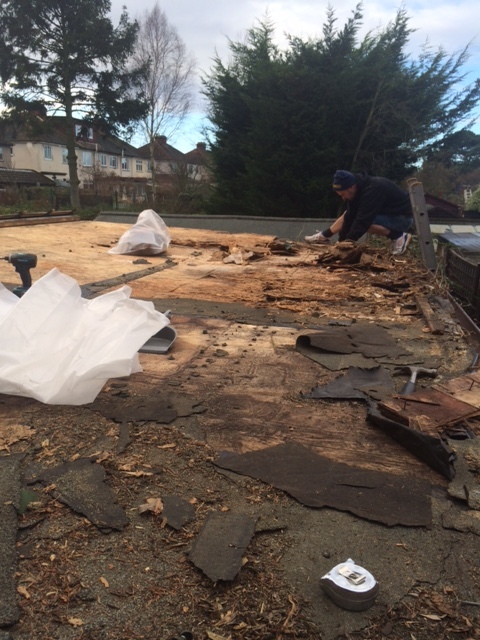 Restoration of your roof will begin with removal of the existing felt and inspection and repair of the roof timbers where necessary. Torch on felt is manufactured with a layer of modified bitumen on the underside of felt. 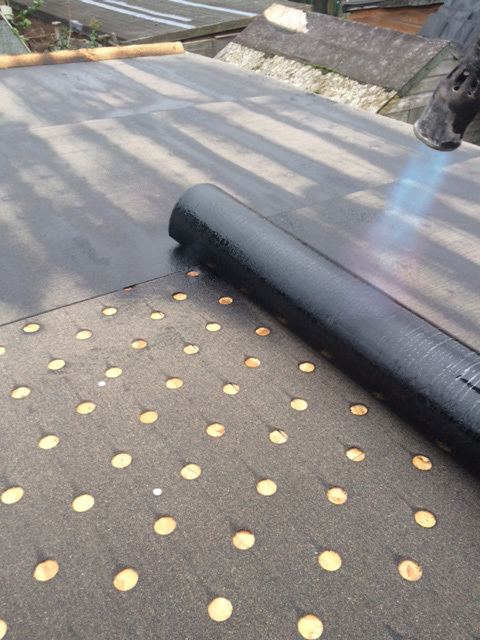 This is heated using a Propane gas torch to form a flood of bitumen at the base of the roll, as shown in the next picture. This system is a lot quicker, cleaner and safe than the older pour and roll system which used a huge pot to heat the Bitumen. The Bitumen on the roofing felt should be protected from the sun. This protection is usually provided using a mineral finished capping sheet which is available in a range of colours. Additional protection can also be applied using Solar reflective paints Or White Spa Chippings.